Readers will likely remember James O’Keefe and Project Veritas—a right-wing group that creates ornate schemes to capture purported wrongdoing at various nonprofits on video. NPQ started covering the group in 2011, after it had already stung ACORN, NPR, and Planned Parenthood. At that time, NPQ National Correspondent Rick Cohen wrote this article, “Why Sting Operations Cheapen Public Policy Discourse,” on what nonprofits might learn from such stuff. Now, of course, it’s hard to imagine a way to further cheapen public discourse. Project Veritas is still at it—this time, trying to discredit the Washington Post by apparently dispatching a woman who was falsely claiming to be a sexual assault victim of Alabama’s Roy Moore. Reporters assigned to the story, however, were skeptical. Not only did the Post check the story out and find it uncorroborated, it also traced the woman back to Project Veritas. In a series of interviews with [Washington Post] reporters over two weeks, [alleged Project Veritas member Jaime] Phillips shared a false story about an alleged sexual relationship in 1992 with Moore, the Republican US Senate candidate in Alabama. She said the relationship led to an abortion when she was 15. During the interviews, she repeatedly pressed Post reporters to give their opinions on the whether her claims could affect Moore’s candidacy if she went public. Correction: An earlier version of this article confused James O’Keefe and Project Veritas for David Daleiden and the Center for Medical Progress. 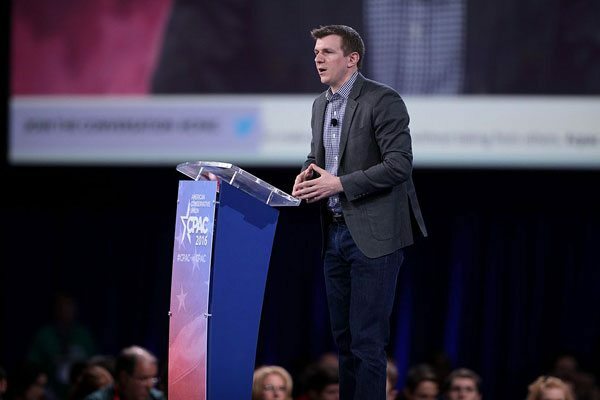 Although Keefe and Veritas have been involved in numerous nonprofit stings, including one on Planned Planned Parenthood, the effort to defund Planned Parenthood based on the alleged sale of aborted fetal tissue was the work of the latter. NPQ regrets the error.